Great way to preserve your favorite image! Framed posters are printed on a inkjet enhanced matte paper, the enhanced matte is a heavyweight stock that delivers true photographic feel and has a high color gamut that yields remarkable color reproduction. Posters are then laminated and mounted to masonite, then secured in a wooden frame. Ready to hang on wall out of the box! Great 3” thick sturdy black frame that fits any décor. 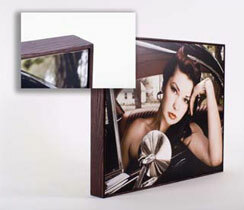 Laminate and preserved image that is easy to wipe down.